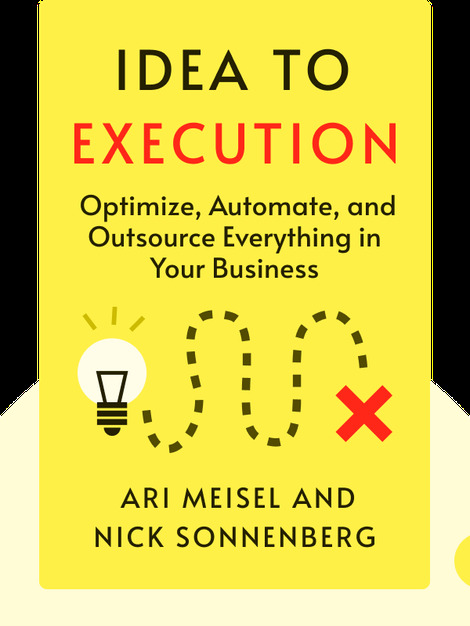 Based on the true story of two friends who founded a company overnight with zero cash investment and built it up over the following year, Idea to Execution (2016) is about the everyday challenges entrepreneurs face when launching a start-up. These blinks show you the steps to success, from sketching a business plan to putting tools in place that optimize your company’s performance numbers. Ari Meisel was a real estate developer before he was diagnosed with Crohn’s disease in 2006, making it impossible for him to work. He had to develop a new way of getting things done, so he founded the Less Doing system of productivity, detailed in his book Less Doing, More Living. Nick Sonnenberg was a high-frequency trader on Wall Street for eight years before becoming an entrepreneur specializing in efficiency. He developed CalvinApp, which connects people to make plans or share ideas. 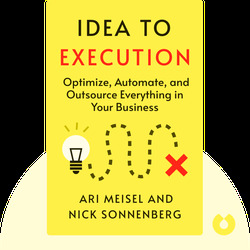 Along with Ari Meisel, he is the cofounder of Less Doing.